As one of the judges on the long-running American Idol singing competition TV show, Randy Jackson first became famous as a bass guitarist and then later as a TV celebrity. While Jackson is famous for his great taste in music and discovering new talent, the Grammy Award winning producer underwent an incredible celebrity weight loss transformation and is still looking fit in 2018. How did Randy Jackson lose weight? Did Randy Jackson have secret weight loss surgery? Most people know Randy Jackson as a host on the hit TV show American Idol. Along with Simon Cowell and Paula Abdul, Jackson was one of the 3 original judges on the hit TV reality series for most of the long-running series' 15 seasons on air. Known for casually and coolly calling contestants "dawg," Jackson was often jokingly teased about his weight and eating habits by notoriously blunt American Idol fellow judge Simon Cowell. While Jackson had struggled to lose body fat since his childhood growing up eating rich and delicious Southern soul food in Louisiana, his weight gain was getting increasingly out of control in his adult life, with some sources reporting that his weight had increased to about 350 pounds. By the time American Idol premiered in 2002, Randy Jackon's health was already being negatively affected by his heavy weight, as he was diagnosed with Type II diabetes in 2001. 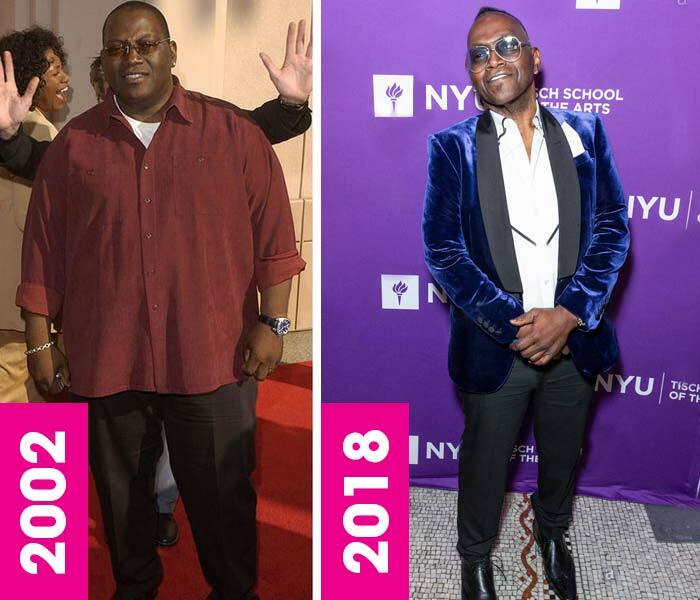 As it was for both Gabourey Sidibe and TV singing competition star Susan Boyle, being diagnosed with Type II diabetes was a turning point that inspired Randy Jackson to get serious about weight loss and adopting a more health-conscious lifestyle. Like many Americans desperate to lose weight, Randy Jackson tried a variety of different crash diet fads and extreme methods to lose the fat. "Liquid fasts. Bee stings. Urine of pregnant women. You name it. I have tried it," joked Jackson. So what weight loss secret or diet finally worked for Randy Jackson and allowed him to get so thin and skinny? "Liquid fasts. Bee stings. Urine of pregnant women. Randy Jackson Weight Loss: Did He Have Weight Loss Surgery? How did Randy Jackson lose weight? 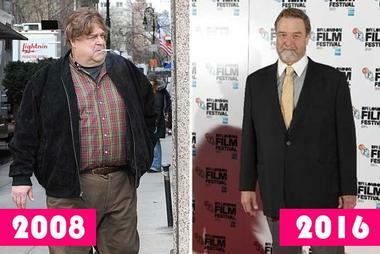 Did he have secret weight loss surgery? 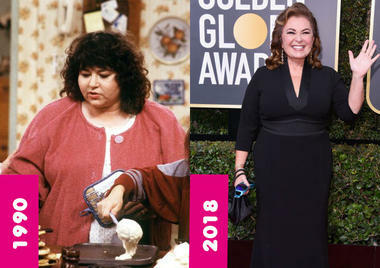 Finally fed up with his weight gain, Randy Jackson was upfront about his decision to have bariatric gastric bypass surgery in 2003, following in the footsteps of fellow celebrities Roseanne Barr and Al Roker who also chose to have gastric bypass surgery to lose over 100 pounds. While Jackson has joked that overeating at parties has always been one of his biggest stumbling blocks in his journey to lose weight, the popular gastric bypass procedure involves surgically removing part of the stomach to curb overeating and jump-start weight loss. 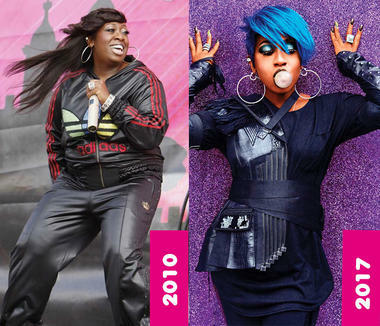 Having gastric bypass in 2003 helped kick-start Randy Jackson's celebrity weight loss transformation but, like many others, Jackson starting gaining weight back again a few months after having the surgery. In order to achieve lasting weight loss, Jackson had to fully reexamine his overall approach to eating and exercise and make a complete transformation? How did he do this? Jackson details his healthy lifestyle in his book, Body With Soul, which features weight loss tips and recipes, even including a healthier version of one of his childhood favorites, sweet potato pie. Overall, Jackson recommends an "everything in moderation" approach to maintaining his weight and healthy lifestyle. 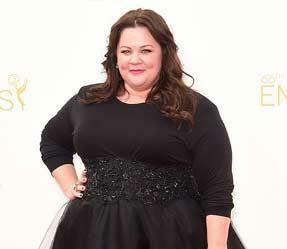 "Itâ€™s all about being aware of who you are, knowing your body, and accepting that," Jackson says. Like many Americans, Randy Jackson's weight has fluctuated throughout his journey to lasting weight loss. While Jackson did regain some weight after having gastric bypass surgery, by 2008 Jackson had developed a new approach to weight loss that seems to have truly worked for him. Jackson has lost over 100 pounds, is down to 220 pounds and has managed to keep it off (and lose more) in 2018. We wish Randy Jackson the best in his continuing journey to weight loss and a healthy lifestyle.